Do you live in London and often feel a bit poorly on Saturday mornings? Come to Broadway Market! 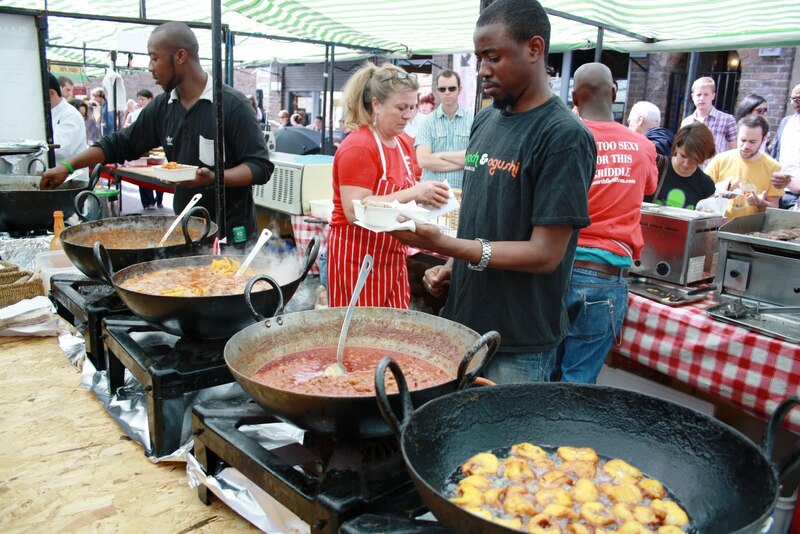 Its a great place to be mildly hungover…..(or not), there are loads of really delicious food stalls that will have you feeling better in no time (especially the roasted pig with apple sauce on a roll, and the home made lemonade). 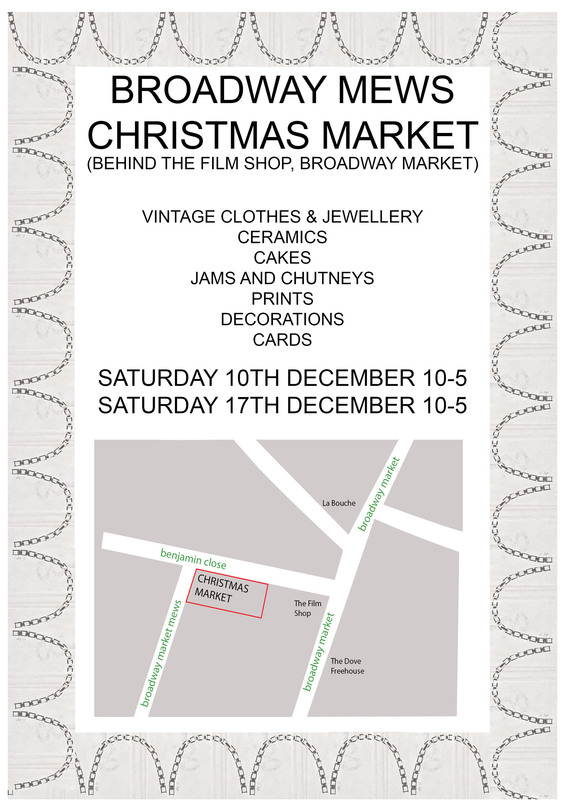 And if all that isnt enough of a pull, for the next two weeks only there will be an additional little indoor market right behind the Film Shop, selling crafty goods and mince pies! Come and give it a go, and spread the word!